Why do professionals use the VFFOTO UV filters? They want to protect their expensive lenses from damage and dirt. And also for easy cleaning. 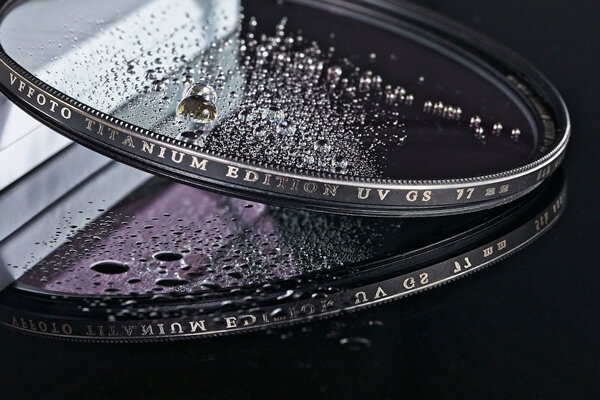 The multipurpose UV filter serves as an effective lens protection against water, grease and scratches as well as more severe mechanical damage. At the same time it absorbs ultraviolet radiation, which can result in blurred and unclear photographs in the exterior. UV filter VFFOTO is suitable for both color and black and white photography. We offer 4 custom series of filters - from the cheapest MC to the highest GS range. The individual series differ not only from the type of optical glass used but also from the material from which the frame is made. The top of our offer is custom made TITAN UV filters. Do not waste damage on your expensive lens - protect it with a VFFOTO filter! If you need advice, don´t hesitate contact us via e-mail on the address: info@vffoto.com. You can also find more information about these filters in our collection: www.fotofiltry.eu. After clicking on the filter price you will be redirected straight to the e-shop www.vffoto.com. - VFFOTO GS UV - the best from production VFFOTO, first-class optical glass Schott N-BK7, brass slim frame, thickness of the glass 0,9 mm, only, 7+7 antireflexion layers , first-class nanolayesrs. - VFFOTO TITANIUM GS UV - custom-made filters, first-class optical glass Schott N-BK7, titanium slim frame, thickness of the glass 0,9 mm, only, 7+7 antireflexion layers , first-class nanolayesrs, 1 times exchange damage or broken glass is free. - magnetic system GS - the best from production VFFOTO, first-class optical glass Schott N-BK7, magnetic frame, thickness of the glass 0,9 mm, only, 7+7 antireflexion layers , first-class nanolayesrs.